Brian Wood has been serving Glendora for 33 years. 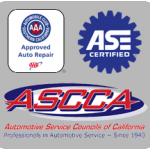 Winner – Auto Club Quality Service Survey Award. Winner – “Business of the Year” Award. The moment you arrive at our auto shop you are treated as family. Our goal is to give our customers the best possible service at the lowest price. We strive to get you back on the road the same day that you bring your vehicle to our shop. Brian Wood Automotive technicians take pride in their work. They have a combined total of over 140 years in highly-trained automotive experience! Our techs are constantly upgrading their knowledge to keep on top of the ever-changing automobile world. They are certified by ASE. 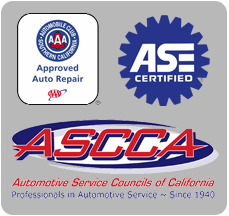 Automotive Repair and Maintenance. All cars and trucks. Glendora California.